Treasure Coast Legal is a full service personal injury firm that accepts cases on a contingency basis. Among the types of personal injury lawsuits that we pursue are: Car Accidents Commercial Truck Accidents Motorcycle Collisions Boating Accidents and Crashes Pedestrian Collisions Slip and Fall (Premises Liability) Medical Malpractice Product Liability Dog and Animal Attacks Traumatic Brain Injury Soft Tissue Injury Dram Shop Liability Workplace Accidents Worker's Compensation Cases The attorneys of Treasure Coast Legal are litigators with extensive courtroom experience. We approach every case with the expectation that it will need to be tried in court. Oftentimes, we are able to negotiate an acceptable settlement for our clients, but we are always prepared for a protracted courtroom battle if necessary. Regardless of whether a client is an accident victim awaiting a settlement, an individual who has been charged with a crime, or someone who is seeking the protection of Chapter 7 or Chapter 13 bankruptcy, there is an inevitable sense of anticipation about his or her case. Our attorneys and support staff understand the importance of keeping you, the client, informed. We will return your calls and emails expeditiously and make you aware of all significant developments affecting your case. In addition, your concerns about the direction of a case strategy are of paramount importance to us. Our attorneys will include you in the planning phases of all case strategies. Our attorneys have years of education and training in the field of law, and are also battle-tested courtroom litigators with multiple wins in civil and criminal trials. Because we are successful litigators, many attorneys would prefer to settle out of court, rather than go head to head with them. Whether your case is settled out of court or a trial is inevitable, you will benefit from having experienced trial attorneys representing you. Shaun Plymale is a trial attorney specializing in the areas of Personal Injury and Criminal Defense. Shaun received a degree in Financial Management from Clemson University and his law degree from the University of Florida. Working as an Assistant State Attorney in Tallahassee following law school gave Shaun extensive experience in the area of DUI. Handling thousands of DUI cases as a prosecutor, serving on the Statewide DUI Technical Advisory Board and teaching DUI case preparation at the Florida Highway Academy, Leon County Sheriff's Office and the Tallahassee Police Department provided Shaun with the invaluable experience that makes him one of the most respected DUI Defense Attorneys in Martin County. Shaun returned to his home town of Stuart in 2002 and was hired by Crary Buchanan where he was named a Partner in 2006. Working for one of the oldest and most respected firms in Martin County allowed Shaun to expand his practice into the areas of Civil Litigation and Personal Injury. 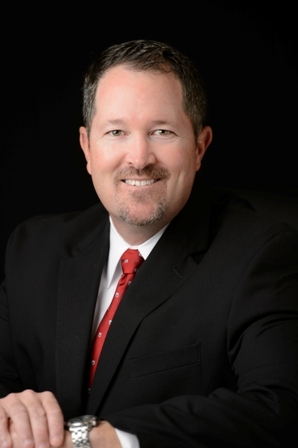 Shaun has handled hundreds of injury related claims resulting from auto accidents.